Here’s a disclaimer once again. I have sat with many parents whose child, teenager, adult child has died. I would never want to take away the impact of their life, their grief, their memories, their sorrow. I pray I never know that pain. In our groups we talk about the different stages and types of loss even within the child-loss community, so this is not about comparing losses. Ever! 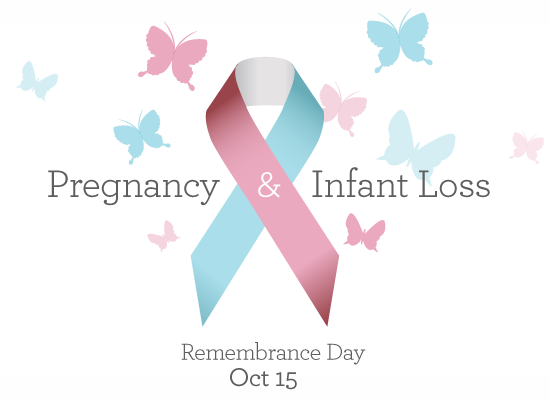 The point of this post and Pregnancy and Infant Loss Awareness Month (October) and Day (October 15) is to raise awareness specifically for this cause. She changed after that. For the better. Releasing years up pent-up grief allowed healing to follow. I never see her now, but I’ll never forget that moment. Pregnancy and Infant Loss Awareness matters for the women who seek me out after a speaking engagement thanking me and wishing they had someone to talk to sixty and seventy years ago. My baby that I had dreamed about, loved with every fiber of my being, grieved with every cell in my body, had been reduced to nothing more than a “pipe cleaner” in this person’s view. This Awareness matters for the family who’d suffered multiple losses and the husband decided he needed to put school on hold. The school refused to reimburse him for his current classes that had just started even though it was so he could provide and care for his grieving family. I sent a letter to the school saying how I had walked with them through this grief and that to minimize their losses was only compounding their grief. The school not only complied, but sent a letter of apology to the family for misunderstanding just how devastating their losses were. Pregnancy and Infant Loss Awareness matters to me because we are told we can have more children like they can be replaced like rag dolls. We are told we should “get over it,” “be over it,” “move on,” like a part of us wasn’t just ripped out and buried or cremated. It matters because the Mom in my office the other day received a note saying, “I hope you feel better,” like she had the flu instead of just given birth to a stillborn baby. It matters because the silence of family and friends can be deafening when all we want is for these little lives to be acknowledged and remembered. We are ONE in FOUR! This matters to me because ONE in FOUR women know this pain and we are still held captive to our grief because of societal norms. I don’t care about media attention, but I am passionate about a societal shift. We need safe spaces for mothers and fathers and siblings to have their grief validated and healing support to follow, not glossed over by platitudes, cliches, and their babies reduced to pipe cleaner status or a time of not feeling well. We need compassionate doctors and nurses who empathize with this loss, pastors and clergy who offer funeral services at the wishes of the family no matter how early the loss. We need co-workers and bosses who give those grieving this loss the space and understanding they need. We need to stop minimizing the impact these precious lives had in the lives of those who so desperately loved them. I will join the chorus of those refusing to keep our losses private. I will work the rest of my life to campaign for this awareness so that, God forbid, should our own daughters know this same loss they will find a society that embraces them, encourages their voices, and nurtures them in grief and healing. In closing, here is a poem I wrote two months after our daughter, Sadie Rose, was born, lived, and died. It is raw, it is real, and I still feel this way. I wish a smelly diaper meant I’d get to wash her sheets. But hugs, and tears, and smiles are best, when my heart feels this way.